We are bringing NACBA’s Federal Advocacy Program back to Washington, D.C.! Hill Day allows NACBA members to meet with federal lawmakers and key staff, grow and maintain working relationships with Congressional offices, and have a lasting impact on bankruptcy policy-making. Meetings will be arranged for you, taking place in federal House and Senate offices. Participate in a detailed training session on Monday, February 25th that will provide background materials, talking points, and leave behind information for the meetings. 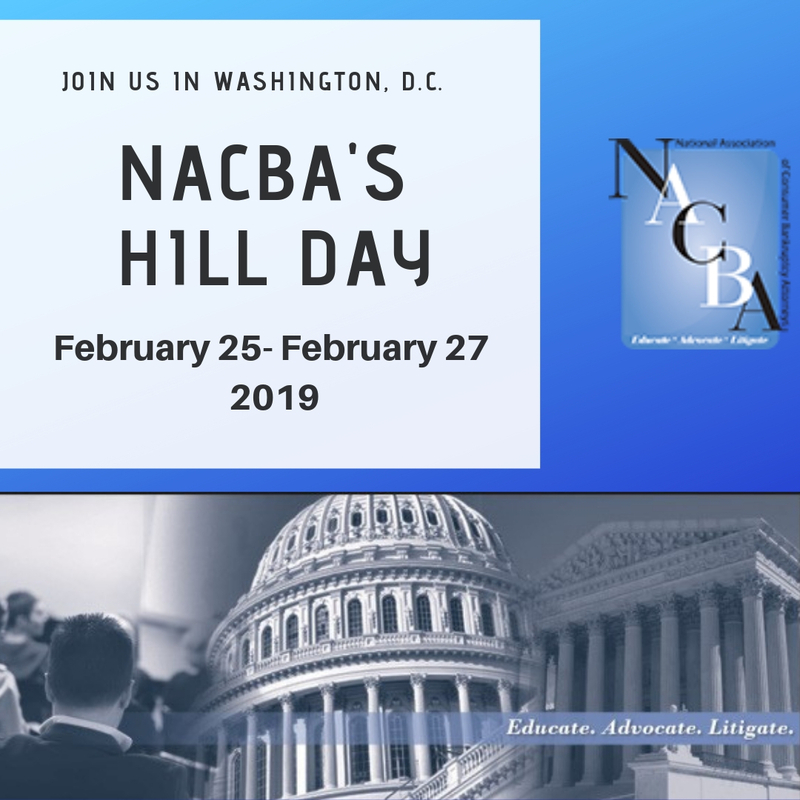 Whether you’re a seasoned Hill Day veteran or a NACBA newbie, we encourage your participation. Further details will be made available shortly.